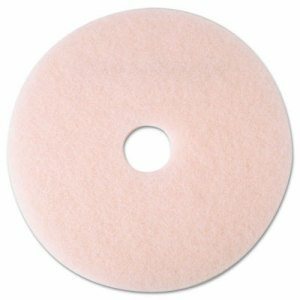 3M� Eraser� Burnish Pad 3600 produces a high gloss on harder floor finishes while removing scuffs and black marks. The floor maintenance pad is constructed of synthetic fibers in an open-textured non-woven mat that resists loading and clogging. Conformable fibers provide impressive pad-to-floor contact. Fibers throughout the pad are uniformly coated with resin to deliver consistent, high-quality results throughout the life of the pad. The pad is designed for use with ultra-high speed equipment operating at 1500 rpm or greater. The pad is reversible. 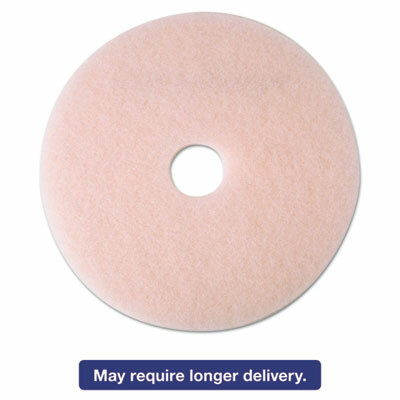 Application: Burnishing; Diameter: 17"; Height: 1"; Color(s): Pink.